Good morning and happy Monday. To start the week off right, I'm sharing this very colorful visual + sparkle = color with a burst of brightness and the cutest little love birds ever. 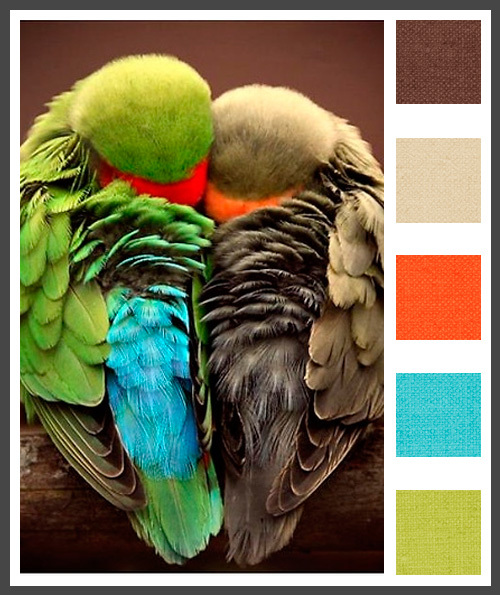 This is the perfect color palette for Fall, with just enough punch of color for you modern Brides.